Rush skeleton weed is native to Eurasia and was introduced to Eastern North America around 1872 as a seed contaminate or in animal bedding. 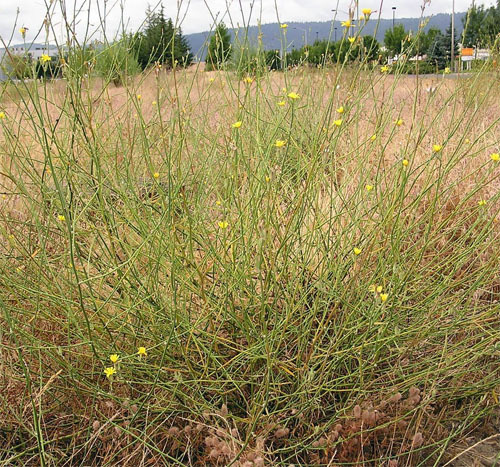 Rush skeleton weed invades crop fields and rangeland. Infestations can significantly reduce crop yields and reduce forage quality for wildlife and livestock. The plant exudes a sap when injured that can clog up crop harvest machinery. 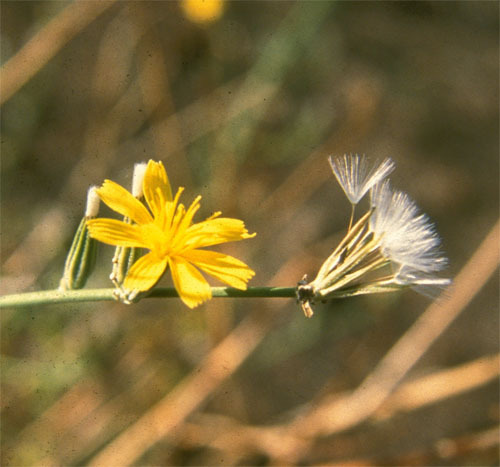 The yellow flowers are 5-20 cm wide and have 8-15 enlarged petals. 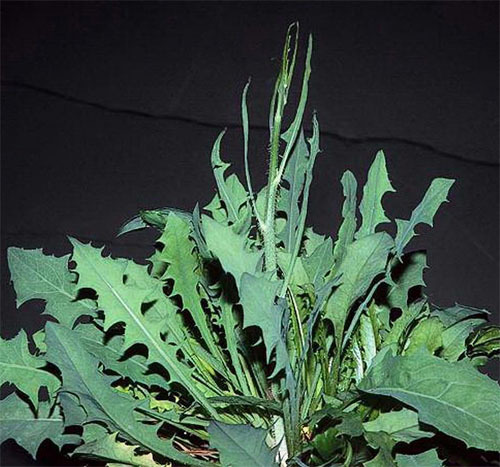 The basal leaves are deeply lobed and are somewhat dandelion-like. The stem leaves are linear. All leaves are alternately arranged on the stem, blue-green in colour, and have no hairs. The fruits have a white plume and tiny teeth at the top. The stem has stiff hairs at the bottom and grows up to 100 cm tall.